home.events. 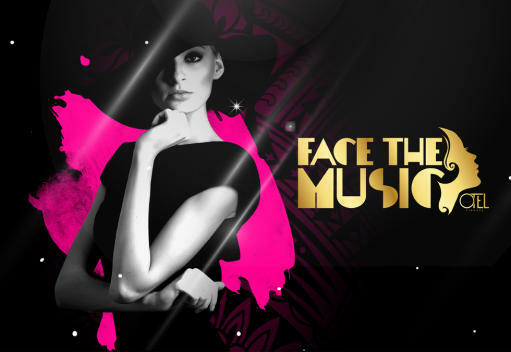 Otel Varietè Firenze.DINNER WITH SPECTACLE AND DISC - "FACE THE MUSIC"
DINNER WITH SPECTACLE AND DISC - "FACE THE MUSIC"
Friday Otel is evening "Face the music", dinner served with the new live show of Otel, a choice between set menu or à la carte, and to follow disco. The Otel is the largest restaurant in Florence, and is both a restaurant and a disco. Less than a minute from the exit of Florence south. The restaurant has ample parking, free. Dinner served with live show, with water and wine and reserved table from 20.00 to 23.45, with seating for everyone, and disco: a choice between set menu at € 30, or à la carte menu. Minimum 2 people, by reservation. Private buffet with water and wine and reserved table from 20.00 to 23.45, and disco. Minimum 10 people, by reservation. Exclusive table with bottle service, from midnight onwards: € 30 per person, which are valid as a credit for bottles at the table of spirits / champagne starting at € 180. On reservation. Entrance with drink, without table, from 11.30 pm: € 15 (free woman within 00.30). For this formula there is no reservation or lists. During the dinner first background music and then live show. House and commercial music for the disco.